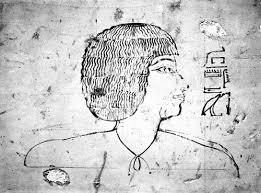 Today, we at the Egyptian Society, and D.A.S Exeter enjoyed the most marvelous talk on Senenmut; given by Dr. Campbell Price. I had seen him give on-line lectures for Manchester Museum (University of Manchester) and had enjoyed them very much, yet this was even better. And in spite of having heard a lecture on the subject only very recently, Campbell managed to made it feel entirely fresh and ‘new’. Campbell delivered the talk on this ‘man in the life of Hatshepsut’ with infectious enthusiasm. He told us of the man himself: his elevation within the court and his intriguing ‘relationship’ with the Female King and her daughter, Princess Neferrura; of his many statues and monuments; and of his two Theban tombs: a Tomb Chapel and his burial chamber which goes a long way underground and it seems intentionally located so very ‘close up and personal’ under Hatshepsut’s cult temple. 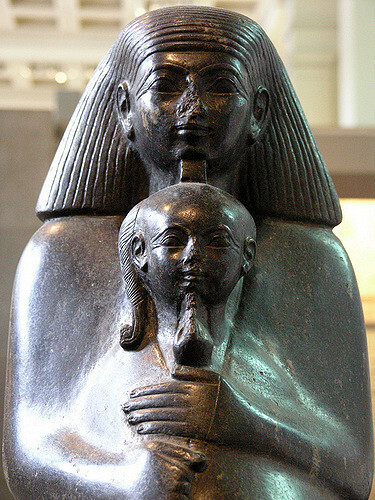 Campbell recounted the attempted removal of Hatshepsut’s memory from history – and many of Senenmut’s memorials in the process. A puzzling end to a fascinating story – delivered with great style and enthusiasm. It was an afternoon very well spent – thank Campbell, please come again! This entry was posted in Devon Archaeological Society - Exeter, Dr. Campbell Price, Egyptian Society Taunton, Manchester Museum. Bookmark the permalink.